‘Cellist Dinah Beamish has played with numerous ensembles, ranging from string quartet recitals on classical music cruises on the Danube, to the Royal Philharmonic Orchestra. Her name appears in the string sections on albums of many popular artists, such as Peter Gabriel and Jools Holland. She has recently made a cd of ambient mellow ‘cello over silvery Indian tamboura, called ‘New Terrain’, to accompany reiki, meditation and many of the alternative therapies. She was one half of the duo ‘My Glass World’. 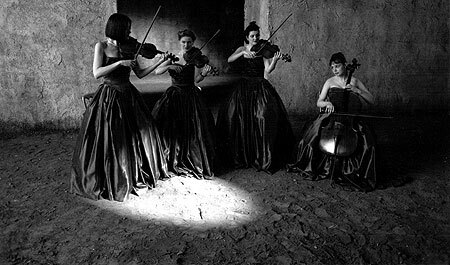 Dinah has played with many orchestras including: Birmingham Royal Ballet, English National Ballet, English National Orch., National Symphony Orch., Milton Keynes City Orch., Moscow City Ballet tours, Orch of St. Johns Smith Sq., Royal Philharmonic Orch., and the UK Philharmonic. Westend show work includes Showboat, Grand Hotel, (member) Evita, Chess, Phantom, Joseph, Miss Saigon and The Sound of Music. National Theatre Work: Albert Speer, Oklahoma, Mrs. Affleck. Both names can be found on countless albums of popular artists, including Eddi Reader, the Manic St. Preachers, Mark Knopfler, posthumously Nick Drake, Stereophonics, Spiritualised, Teddy Thompson, The Veils, Zero 7, and several of Jools Hollands’ albums. Dinah played with Electra and Brilliant Strings both on Jools Hollands albums, ‘Later’ shows on BBC 2, and joined the Jools Holland Big Band for the New Years Eve show for 18 years. Dinah enjoys teaching as well, and has had many successes with cello pupils of all ages, taking ABRSM exams from Grade 1 to 8 and beyond. She advertises on musicteachers.co.uk. 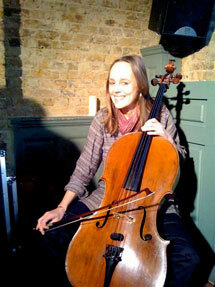 She is also a frequent deputy for the cello teachers at the Centre for young Musicians in Central London. A great believer in that learning a musical instrument can often be a catalyst for opening channels for all learning, she would advocate that every music lesson should aim to be enjoyable and inspiring.